which of course trumps my easy version. The biggest difference between the two versions is undoubtedly the texture. 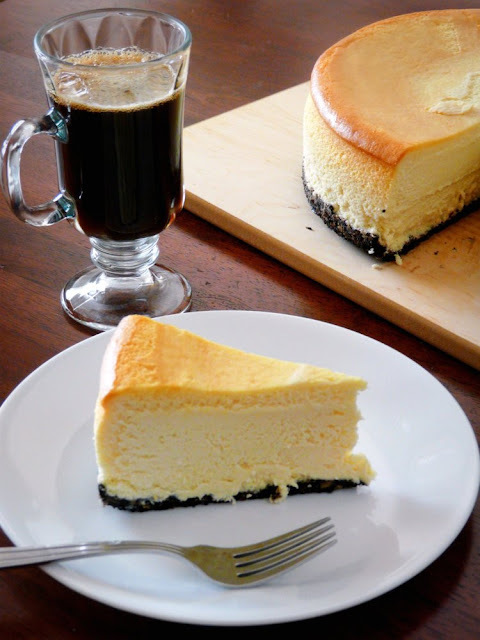 Hers has the fluffy, whipped texture typical of baked cheesecakes but the no-bake version has more of a thick, creamy texture, more reminiscent of pie. I don't even consider the no-bake version as cheesecake. It's more of a cheesepie but that just sounds kind of weird. 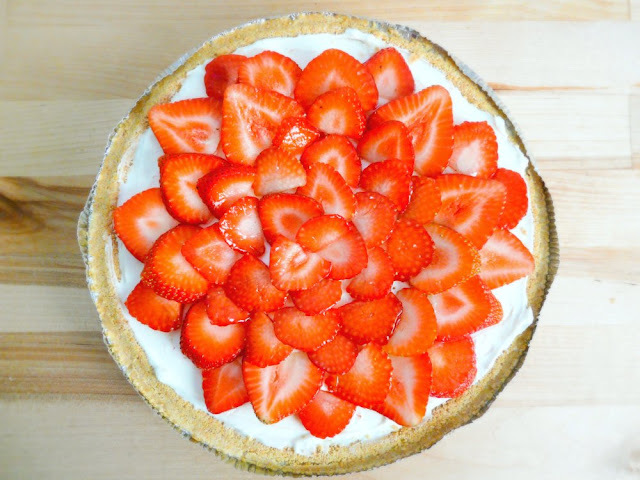 Well, when the cheesecake craving hits me like a ton of bricks and I have roughly 15 minutes of prep time, you bet the no-bake version will do. I actually really enjoy this easy version and it totally hits the spot. 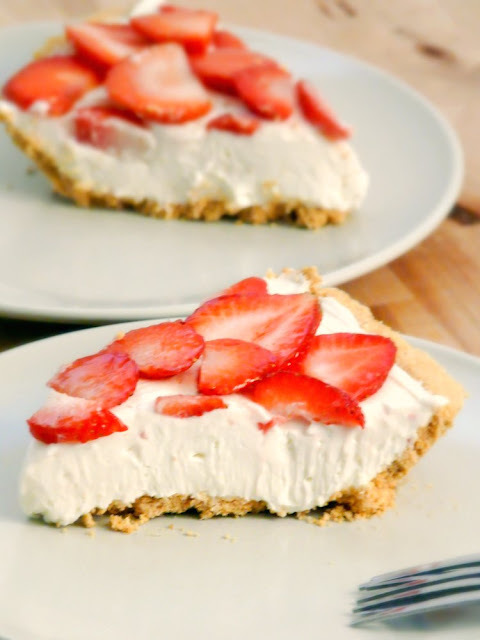 The no-bake factor is indeed a plus as well, especially when the weather's been so warm. 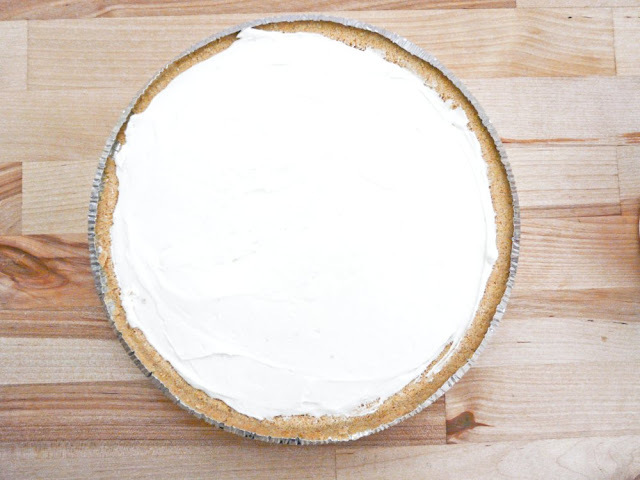 You can make your own graham cracker crust but for even more ease, go with a store bought crust like I did. 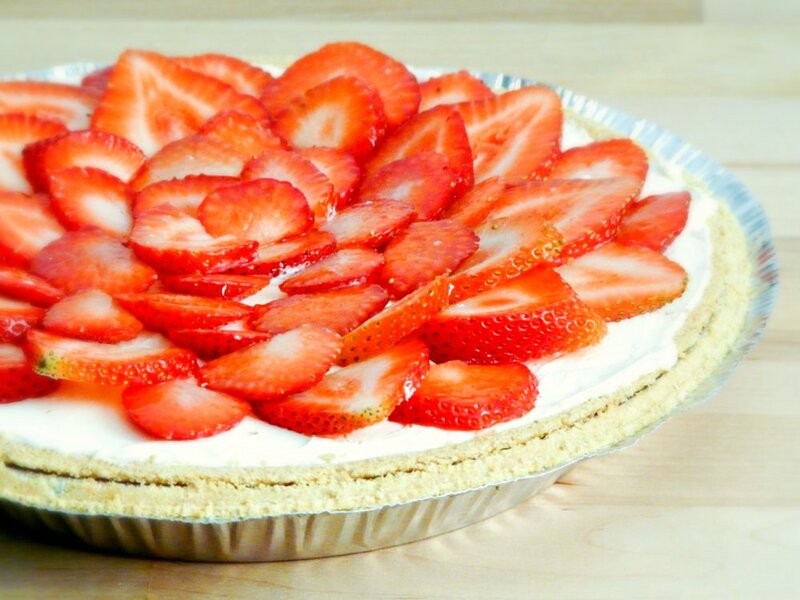 Top with sliced strawberries, peaches or even some Oreo cookie crumbs. 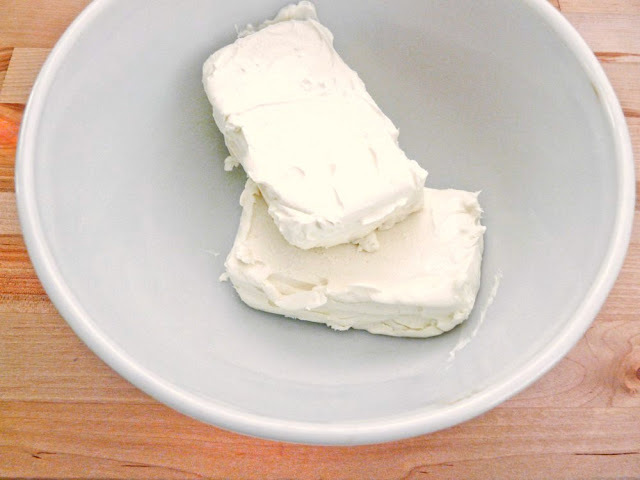 Place the softened bricks of cream cheese in a mixing bowl. 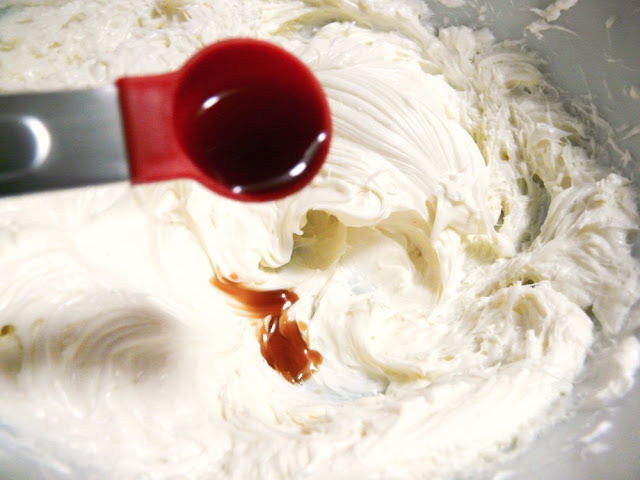 Beat the cream cheese and sugar together with a hand mixer until soft and well blended. 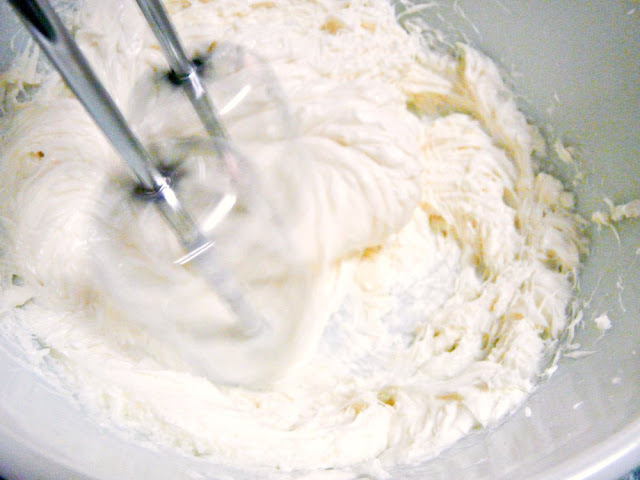 Add the vanilla essence and beat again to combine. 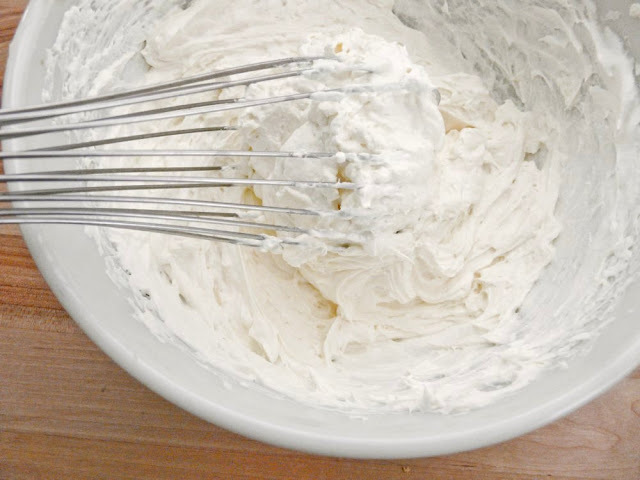 Add the Cool Whip and whisk it into the cream cheese. 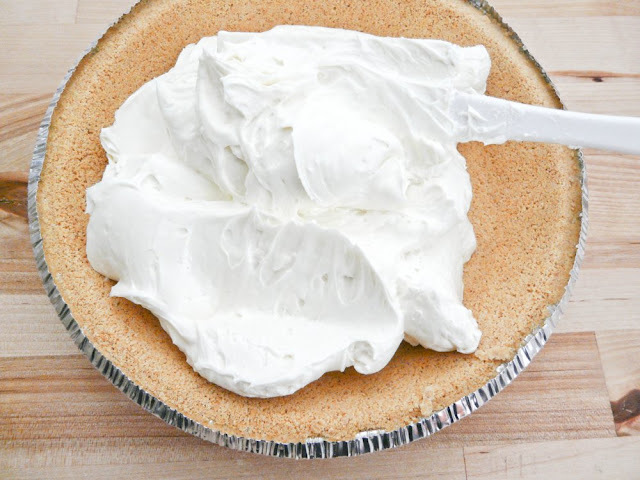 Transfer the cream cheese mixture to the graham cracker pie crust. 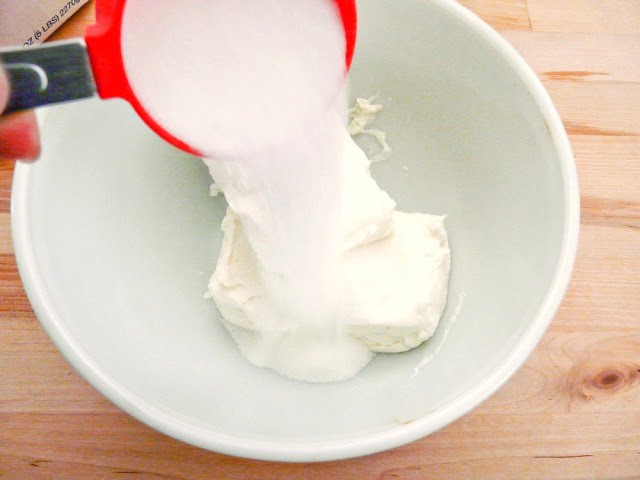 Spread the mixture evenly and smooth out the surface of the cheesecake. Cover loosely with foil and place in the refrigerator to chill for at least 3 hours. 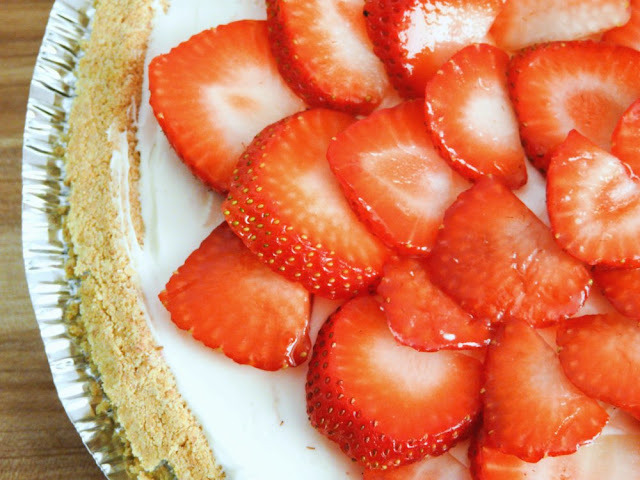 When the cheesecake has been chilled and hardened, top it with the sliced strawberries.